Are you stumped when it comes to mixing scrapbooking patterned papers? Is it all too confusing for you? Firstly, you might want to watch the part one of this video where Tammy Mitchell will show you a few examples of mixing patterned papers. 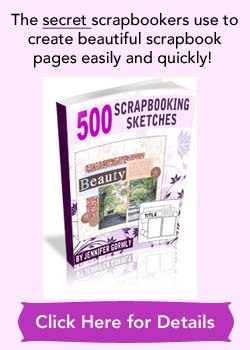 Then in this part two video, she will go on to show you how easy it is to come up with an attractive scrapbook layout using patterned papers. Watch Tammy in action as she pulls different patterned papers to create an attractive layout using these papers. Effective mixing of patterned papers can really enhance the look of your layout. Look at your photos. Is there a dominant color in there that you can pick out and apply it to your patterned paper colors? This tip will make sure that your photos and patterned papers are in harmony with each other. Is there a theme? Christmas? Thanksgiving? Graduation? Vacation? 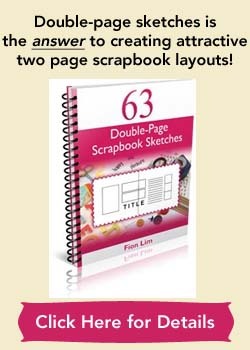 Use theme patterned papers to support the theme of your scrapbook layout. Is there an obvious element such as a butterfly or cookie in your photo? Find patterned paper that reflect this element. This will help to bring out the important element in your photo. Mix bold pattern with subtle pattern to balance off each other and give an interesting contrast to your layout. To make the mix-and-match a real easy job, simply watch out for companies that offer a coordinating line of patterned papers. This way, you know for sure that whatever patterned paper you pick from one line, will coordinate well with other patterned papers from the same line. For now enjoy this video by Tammy Mitchell. To look at one of the largest online collections of beautiful patterned papers sorted out by brands, be sure to check out Scrapbook.com.